One think you all probably know by now - bloggin' ain't easy. For the most of us, blogging is a hobby that we usually explore in our free time. Many of us have full time jobs, families to take care of and a social life that can get in the way of being a successful blogger that produces awesome new content every single day. I won't lie - I would love to give up my day job and work exclusively on my blog and Bloggers United AU. But it can be pretty tough to actually get your blog on a steady path to success. Now, I'm not a professional blogger by any means. But, I have seen my blog and social media following grow significantly thanks to some of the tips I'm about to share. These tips have made blogging easier and more fun for me. Inspiration can strike at any time, so it always helps to be prepared. Carry around a notepad and pen, or have a notepad app on your phone ready at hand. Try to keep something beside your bed at night, too. I find that my inspiration usually hits at the most inopportune times - such as the shower, the workplace or the middle of the night. Before I was writing everything down, I was losing awesome ideas almost as quickly as they came to me. Now, even if I write down just vague ideas, I still have more to go on when I actually sit down to create new content. I try to blog four days a week, Monday through to Thursday. I usually write all my posts in bulk on Sunday afternoon and then schedule them throughout the week. Before that, I was skipping days, uploading at random times, producing sub par content or tiring myself out trying to produce good content. So now, even if I don't get time to write up all the posts, I at least take photographs and note down what I want to write, to make my life a lot easier. It's not about having 100 blog posts scheduled - it's about cutting down as much work you have to do on a daily basis. This will work hand in hand with producing content in bulk. It makes it really difficult to write up your posts in advance if you have no idea what you actually plan on publishing next week. Having a content calender lets you plan your blog posts ahead of time, so you have a clear schedule. You don't have to follow it religiously, you can alter things if you want to, but it helps to create a bit of structure and helps you get more work done in a shorter space of time. It also helps you see the flow of content you're publishing so you aren't posting content that are too similar too close together. There's nothing worse than being on a roll and having to stop because you have to cook dinner or go to work. If you can, set aside a dedicated time to work on your blog each week. Even if it is just an hour, make sure you have no distractions. I can't even begin to tell you how much time I would waste when I tried to write for my blog on a day to day basis - I would look at social media, watch TV and chat with my partner all while trying to product content. Before I knew it, the night was gone and I still hadn't hit that publish button. Focus on one thing and you'll get so much more work done. Once you are on a roll, producing great content will come more naturally and it will be a more enjoyable experience. Scheduling has been a bit of a theme throughout the tips but it is the most important one in my opinion. Scheduling makes your life easier and means that you can make last minute plans without worrying about having to publish that post. I like my posts to be published at the same time every day - this gives my blog consistency and my readers know what to expect. However being on a rotating shift and y'know, having a life, means that this is impossible to do manually. You can also schedule tweets and Facebook updates too, and there are an array of apps to help you with other social media platforms as well. Do your research and find out when your readers are most active, and schedule whatever you can during those times - even if it's while you're sleeping or working. These tips have helped me immensely in keeping my blog active, particularly during times when I know I won't get to be on the computer a lot. I'm still trying to get into the swing of following my own advice every week, but so far I'd say I'm doing well. Hopefully you find these tips helpful as well. 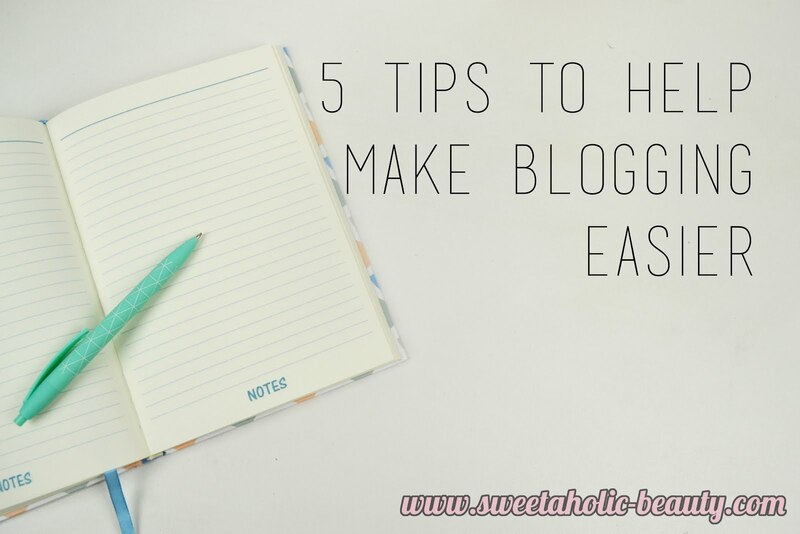 Do you have any tips to make blogging easier? Hear hear! I'm going to have to cut down until July, but I fully intend to get back into the swing of things after that! Great tips - I used to just show up, write and hit publish but this year have started planning out posts in a diary which has been super useful, I can see what days I need to have something ready for, make notes of what I need (photos, check product names etc) and what's all ready to go. I've also fallen into a bit of a routine; beauty on Monday, Posh Picks on Wednesday and fashion/life/general on Friday. Thanks for sharing your tips! I'm definitely trying* to blog more regularly. 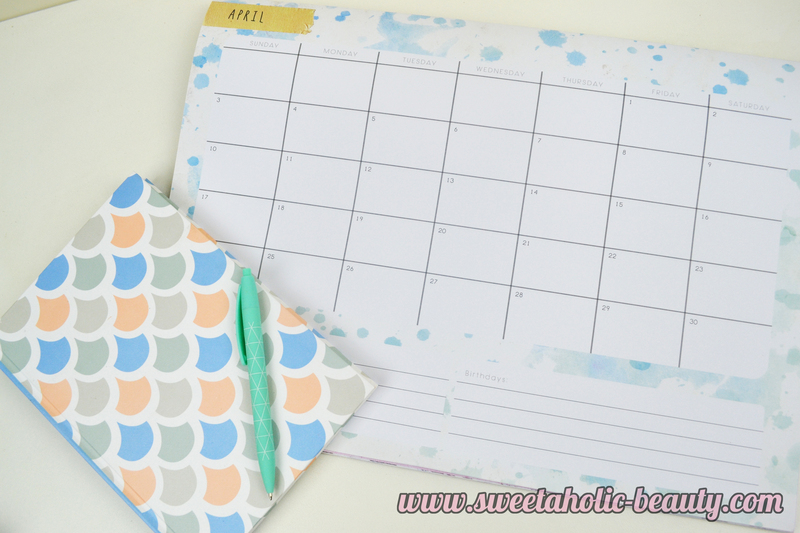 I have spurs of motivation so blogging in bulk to schedule sounds like a go! Great tips. Organising is so important. I think my biggest tip is only hit publish if you're happy with it. If you're not happy with your photos or words, then give it a day extra to post rather than put out something that isn't quite right. Thank you so much for these tips Jasmine! I have been struggling a lot lately to blog due to factors you mentioned such as work and personal life, and also silly pressures I've put on myself like keeping up to date with products which the bank can't always support haha, planning and brainstorming posts definitely helps a lot!! 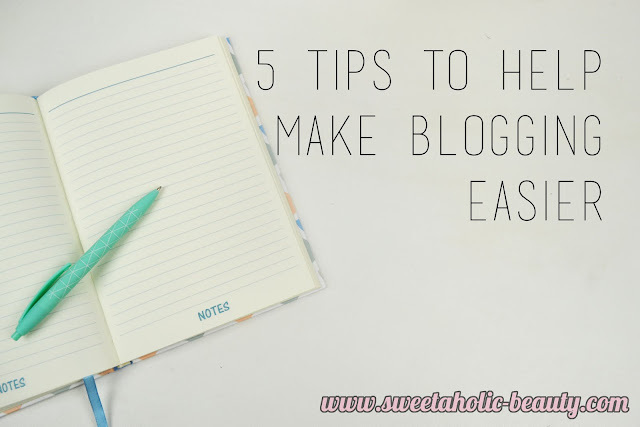 Such good tips, I really need to get more organised with my blogging!